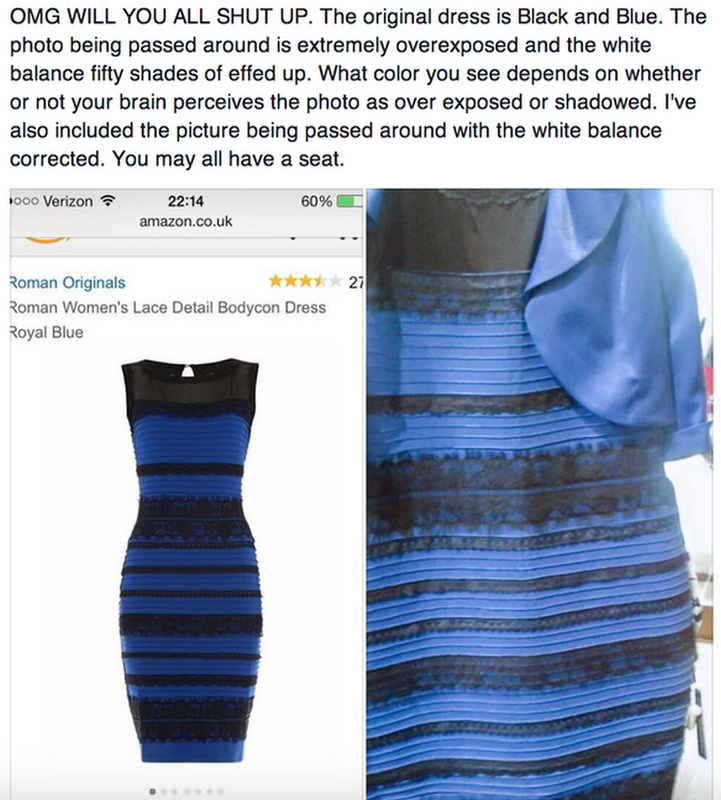 Home › Social Media › What is the Science Behind the Black and Blue or White and Gold Dress? Social media and internet broke today because of the black and blue or white and gold dress. Below is the photo that was circulating on Instagram, Twitter and Facebook. 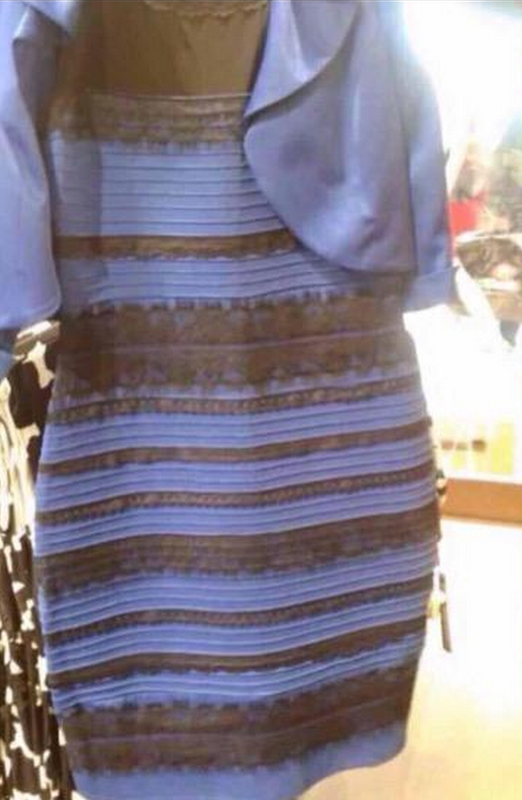 What color do you think this dress is? Here is some of the science behind it. Overall, I believe the dress is black and blue. What do you think? What colors do you see? Google Updates Search Algorithm for Mobile Friendly Websites in April 2015 | Are Snapchat Stories Getting More Viewers Than Network TV Shows? Thank you! I’m an artist and I’ve been getting really pissed about this. I’ve been trying to argue that it was a photo that was way over exposed. 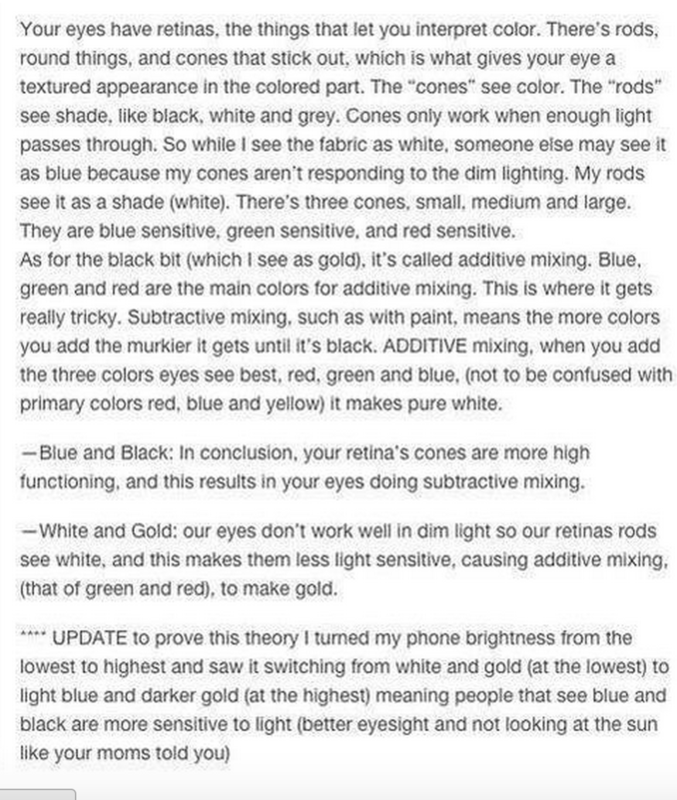 I knew that there was no way that that stupid dress was black and blue unless the photo was messed with. I live in Arizona and any photo or poster hanging in a store window or left in the sun looks over exposed. You are my hero. Thank you again.